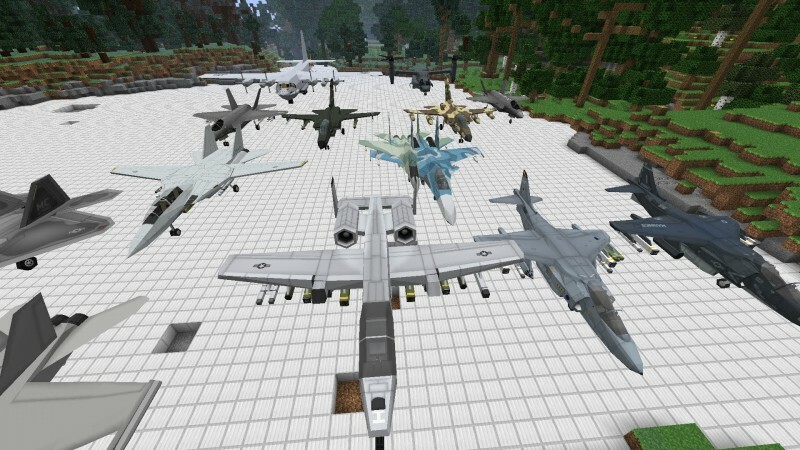 MCHeli adds a whole load of new planes and helicopters to Minecraft! It has a built-in asset system a little like Flan’s Mod, meaning anyone can create new vehicles without any real coding knowledge! Helicopters are helicopters. You’ve all seen them, they go up and down and all around. The helicopters in MCHeli can take a few minutes to master the controls of. Throttle will simply accelerate you in whatever direction the roters are facing, so if you keep the controls level, you’ll just go straight up. Push your mouse up, the controls will tilt the nose down, and you’ll move forward. Once you get the hang of it, controlling them is very natural and you’ll easily get all around the world!